MINI Rear Exhaust Hanger 02-06 MINI Cooper and Cooper S and 2005-2008 R52 MINI Convertible. If your exhaust is rattling at the back of the car check these rubber mounts and you'll most likely find these rubber mounts torn. Replace them today. 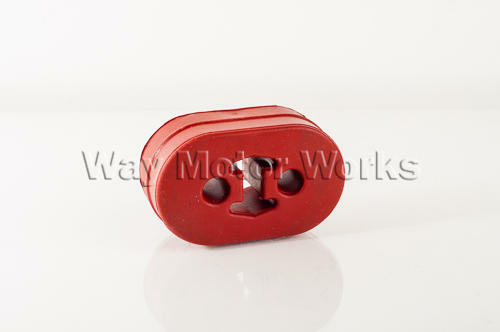 These rubber mounts are also the mounts on the 2002-2004 R53 MINI Cooper non S.
But please don't take our word for it, look at your mounts BEFORE ordering to make sure you get the correct ones. Price is for 1 mount.